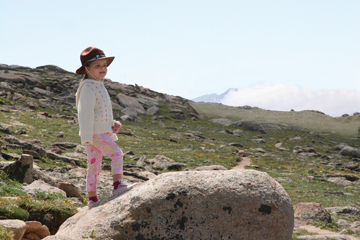 The Rocky Mountain Conservancy works hard to ensure that as many people as possible—present and future—can enjoy Rocky Mountain National Park. Listed below are three top priority projects we’re working on. The Next Generation Fund is an ongoing effort created in 2006 to meet the challenges of connecting the next generation of youth with nature. 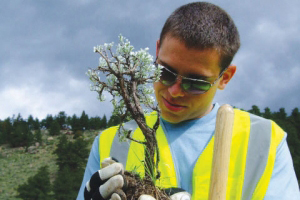 The Conservation Corps provides a unique service-learning experience for college students interested in natural resource conservation. 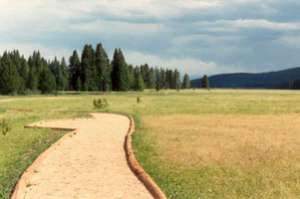 There are more than 350 miles of trails in Rocky Mountain National Park. Between routine maintenance, heavy visitor use, severe weather events and needed improvements, these trails always need a helping hand.